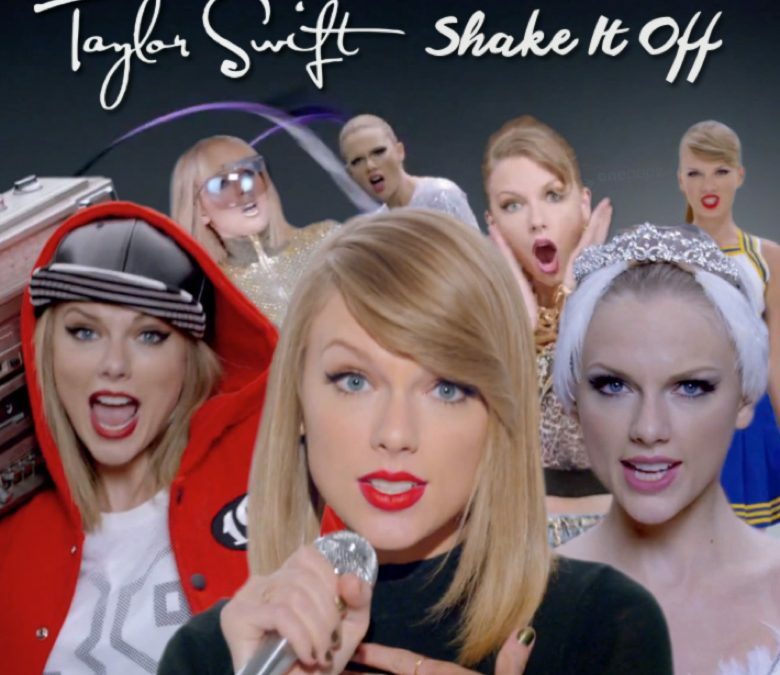 Taylor Swift’s 2014 hit “Shake It Off” is the subject of recent federal copyright infringement. Two songwriters, Sean Hall and Nathan Butler of 3LW’s hit “Playas Gon’ Play,” claim roughly 20% of Swift’s song contains infringed copyright material from their 2001 hit. Counsel for the songwriters filed suit in the U.S. District Court for the Central District of California attempting to pursue a federal copyright infringement claim. 3LW’s “Playas Gon’ Play” includes [Playas, they gonna play / And haters, they gonna hate / Ballers, they gonna ball / Shot callers, they gonna call / That ain’t got nothin’ to do / With me and you / That’s the way it is / That’s the way it is]. Taylor Swift’s “Shake It Off” includes [‘Cause the players gonna play, play, play, play, play / And the haters gonna hate, hate, hate, hate, hate / Baby I’m just gonna shake, shake, shake, shake, shake / Shake it off / Shake it off / Heartbreakers gonna break, break, break, break, break / And the fakers gonna fake, fake, fake, fake, fake / Baby I’m just gonna shake, shake, shake, shake, shake / Shake it off / Shake it off]. Hall and Butler, as co-authors, contend they own a legal copyright in the “Playas Gon’ Play” musical composition. They argue their combination of playas/players playing along with hatas/haters hating may seem like common jargon today, however, in 2001 it was completely original and unique. They propose that that combination had not been used in popular culture prior to their original use. More so, they argue that their lyrics are both original and creative. With this foundation for a copyright claim, they contend that Swift’s song “Shake It Off” has infringed upon their copyright and they have not authorized her use of the lyrics through consent nor license. Article I, Section 8, Clause 8, of the United States Constitution grants Congress the power “[t]o promote the progress of science and useful arts, by securing for limited times to authors and inventors the exclusive right to their respective writings and discoveries.” Congress’ power to enact copyright law falls under this clause. The Copyright Act of 1976 is the current primary basis of copyright law in the United States. This 1976 Act allows artists the exclusive right to make and sell copies of their works, the right to create derivative works, and the right to perform or display their works publicly. These exclusive rights are subject to a time limit, and generally expire 70 years after the author’s death. The first requirement for copyright is fixation. Copyright protection occurs at the moment a work of authorship is fixed in a tangible medium of expression. Copyright does not apply to ideas, but rather only the expression of ideas that are fixed. “Works of authorship” include musical compositions such as the musical composition in the Swift lawsuit. Once a work is fixed, courts will look to the requirement of originality and the degree of creativity of a work. Both originality and creativity are derived from the statutory requirement that copyright protection extends only to “original works of authorship.” This means that the work must have been developed independently by its author or authors and should have some minimal degree of creativity involved in the creation of the work. There is no objective minimum amount of content required for a work to be included within the scope of copyright. Over time, however, case law has provided guidance on how to assess the degree of creativity that meets the originality requirement. Once these elements are met, copyright protection may be ruled valid. Typically, copyright infringement occurs when a valid copyrighted work is reproduced, distributed, publicly displayed, performed, or made into a derivative work without the permission or license of the copyright owner. A work “infringes” upon the exclusive rights granted to the copyright holder under the 1976 Act. Copyright infringement disputes are usually resolved through direct negotiation between opposing parties, a notice and take down process, or civil litigation. In the event of litigation, the party claiming infringement must prove “Access” and “Substantial Similarity” of their valid copyrighted work. For musical compositions, access is a question of whether the infringer ever actually heard, or could reasonably be presumed to have heard, the protected work at some point before creating the allegedly infringing song. Access is not always easy to prove, but courts can look at the relationship between opposing parties, as well as the public availability and publicity of the copyrighted material. For musical compositions, substantial similarity is a question of whether the average listener can tell that one song has been copied from the other. This is referred to as the “ordinary observer test.” When both the copyrighted work and the alleged infringing work have multiple elements in common, it is more likely they are to be ruled substantially similar. Musical compositions usually contain many elements and may be hard for a judge or jury to identify differences and similarities, so expert witness musicologists are usually helpful. If these elements are met, and an alleged infringer does not have a valid defense at law, it may be likely the valid copyright has been unlawfully infringed. Both Hall and Butler claim they have a valid copyright in the lyrics of their 3LW hit and that Swift has unlawfully infringed upon this copyright. Hall and Butler claim Swift has copied and publicly performed their copyrighted material and she has authorized the making or distribution of music substantially utilizing their copyrighted material. For Hall and Butler to succeed in the litigation, they must meet the elements of fixation, originality, and creativity taken into consideration of a valid copyright. Also, Swift must have infringed upon this copyright through the access and substantial similarity analyses. Judge Fitzgerald, who presided over the district court and ruled on Hall and Butler’s complaint, granted Swift’s motion to dismiss the claim, but left room to amend. This means that counsel for Hall and Butler may amend their complaint based on the judge’s analysis and present their complaint again with modifications. Judge Fitzgerald decided that the lyrics at issue are too brief, unoriginal, and uncreative to warrant protection under the Copyright Act. He ruled that “[i]n the early 2000s, popular culture was adequately suffused with the concepts of players and haters to render the phrases “playas … gonna play” or “haters … gonna hate,” standing on their own, no more creative than “runners gonna run,” “drummers gonna drum,” or “swimmers gonna swim.”” With this ruling, Judge Fitzgerald has ruled against a valid copyright in the lyrics. Counsel for Hall and Butler have expressed that they wish to appeal the motion to dismiss rather than amend their complaint and present it again. As it stands now, if counsel for Hall and Butler appeal, the public must wait to see if Taylor Swift can “shake it off” once again.